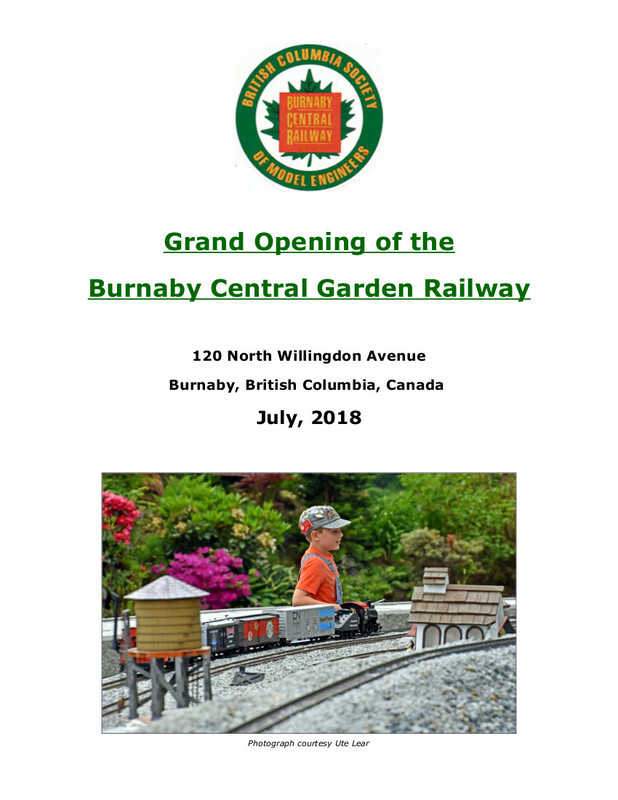 It is not uncommon for model train fans to have interests in more than one scale of trains, and so it is with members of the British Columbia Society of Model Engineers. The 'garden railway' addition to the park was first mooted in 2011 and was followed by the construction of an interim layout to gauge interest and gain experience with these trains. 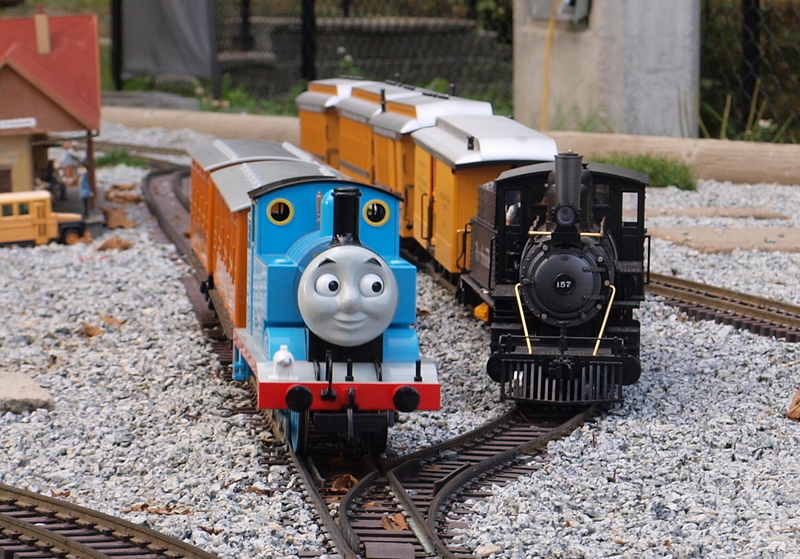 Add a model of Thomas the Tank Engine, and the idea was sold – to the kids! With growing interest, a larger permanent track was designed and construction commenced after the 2017 operating season ended. The new feature formally opened for operation in July 2018.. In between riding the bigger trains, come visit the ‘little ones’ at the Garden Railway! 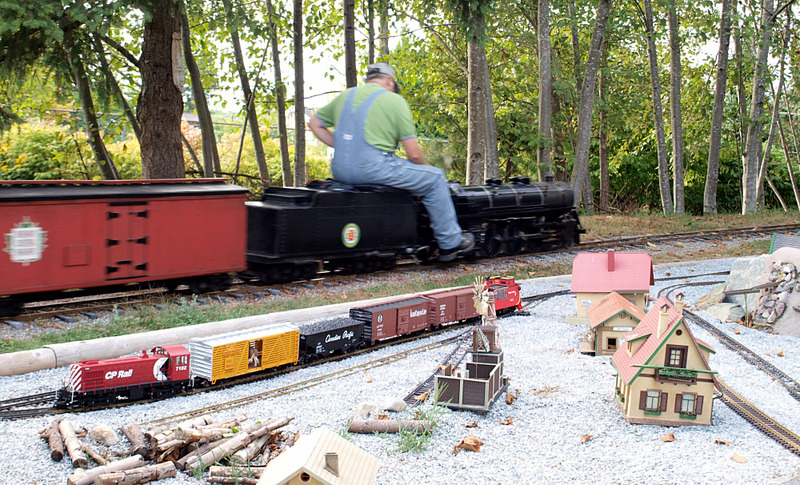 Our layout is able to accommodate both G gauge (45mm) and O gauge (32mm) scale model trains. Some trains are battery powered, others electric, and still others are steam powered in spite of their relatively small size! The track plan also enables multiple members to run their trains at the same time, and operate longer trains with larger locomotives, and incorporates bridges and gradients, all to add interest for our guests. Be sure to stop by and take a closer look next time you visit the park! Our garden railway is open any day we are open to the public, provided that we have enough volunteers. There is no charge to go and see the garden railway. 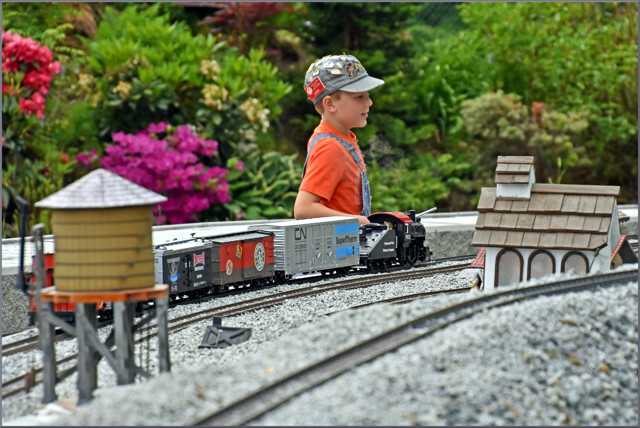 Our layout is designed to let young and old get close (but not touch) the locomotives and the rail cars. If you are lucky there may be volunteers running what is called an operating session and you can see how railways operate. Do not touch the locomotives or equipment. You could get burnt, hands pinched, or suffer an electric shock. It’s said a model railway is never ‘finished’! Quite so – the Garden Railway is officially open as of July 2018, but there are sure to be 'enhancements' over time – be sure to check us out again on your next visit to see what's new. Click on any image to see a larger version...!